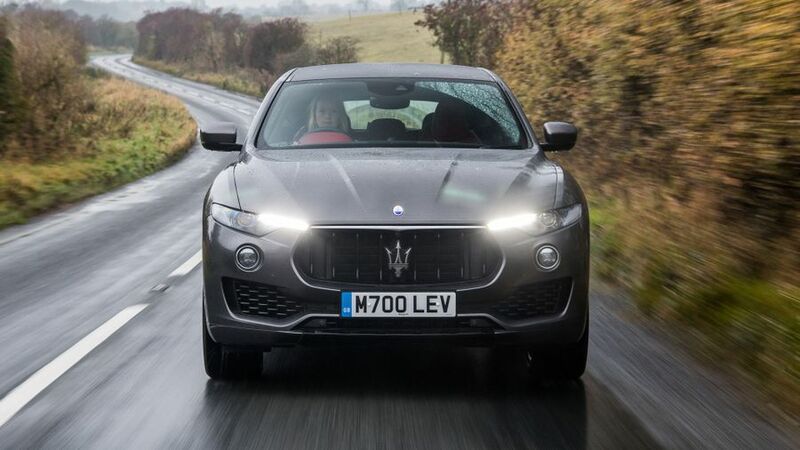 The Levante is Maserati’s first SUV, and its Italian charms are trying to attract the kind of buyers who are tempted by the Porsche Cayenne, BMW X6 or Jaguar F-Pace. Given that this is the company’s first bash at building an SUV, the Levante is a very decent effort. There’s lots to like about it; and, even if it’s not the very best car in its class, it’s good enough that the air of exclusivity around it may well be enough to tempt buyers to sign up. 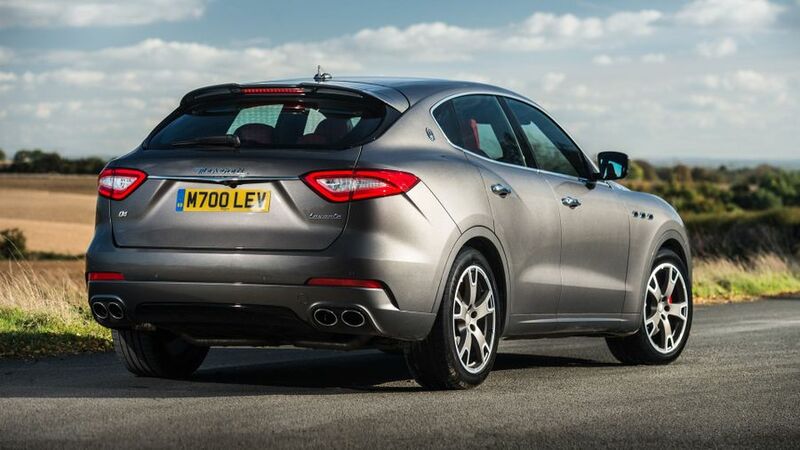 Interested in buying a Maserati Levante? In common with all its sister models – the Ghibli and Quattroporte saloons, the Granturismo coupe and Grancabrio convertible – the Levante is very much a ‘premium’ product that sits at the upper end of its market. From the word go, it’s perfectly clear the car is a Maserati through and through. There’s the bold vertical slats on the grille, the three chrome-trimmed inlets on the front wing, and the famous trident badge just behind the rearmost side window. As you would expect, alloy wheels are standard on every model, and so is a twin-pipe exhaust, giving the car a sporty look. Buyers can also add one of two option packs to help give their car a slightly different look. The luxury-focused GranLusso is marked out by its metallic scuff plates and roof rails, black painted brakes and body-colour side sills. The GranSport, meanwhile, substitutes that for piano black scuff plates, roof rails and grille, plus red brake calipers. 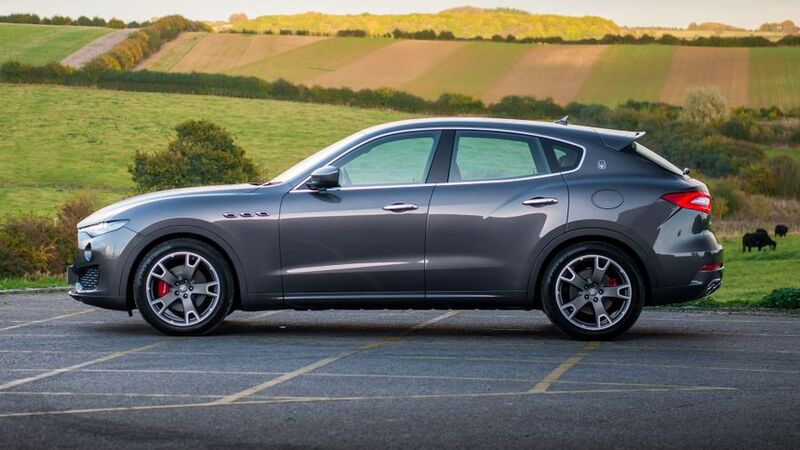 Quality isn’t an area in which other Maserati models have always dazzled, but the Levante puts in a very solid performance and feels every inch the luxury SUV. Most of the materials feel high in quality, and there’s a nice mix of finishes and textures to keep things looking interesting. It all feels very solidly put together, too, which is another area where some past Maserati models have struggled. What’s more, just as with the exterior, there’s plenty of scope to personalise the cabin, with lots of different options for colours and finishes. Most of the car’s various functions are reasonably easy to use as well, thanks to a touch-screen system that has logical menus and sharp graphics. To cap it all, thanks to the electrically adjustable front seats and the reach- and rake-adjustable steering column, most people will be able to find a comfortable driving position. There are no complaints about how much room there is in the front, and thanks to the Easy Entry system – which drops the car’s air suspension when the car is parked – it’s nice and easy to climb aboard. Space isn’t quite so generous in the rear, and other large luxury SUVs will give you quite a bit more room to stretch out, but there’s still enough for a six foot adult to sit comfortably behind a similarly sized driver and not feel too hemmed in. The 580-litre boot is on a par with what you’ll find in a BMW X6, although not as big as the Jaguar F-Pace’s or Porsche Cayenne’s. Contrary to popular belief, Maserati is a company that makes grand tourers rather than out-and-out sports cars, and judged on that score, the Levante does a good job on the road. Yes, it’s not as poised in the corners as a Porsche Cayenne, but it still changes direction really sharply thanks to lots of grip, even weight distribution, accurate steering and tight control over body roll. The car is made to feel more agile by the fact that the four-wheel drive system sends all the power to the rear wheels until the system detects that it’s needed elsewhere, and only then is the power shuffled around. Use the driving mode selector to switch from Sport mode to a more relaxed one, and the air suspension softens off to provide a nice comfortable ride. Again, it’s not as cosseting as you’ll get in a Range Rover Sport, but it’s plenty comfy enough, and overall, the car strikes a nice balance between pointiness and plushness. The Levante comes with a choice of two engines, the more popular of which is the 3.0-litre V6 diesel with 275 horsepower. It’s pretty muscular in most every driving situations, and provides enough acceleration to get you moving across country at a fair old rate of knots. 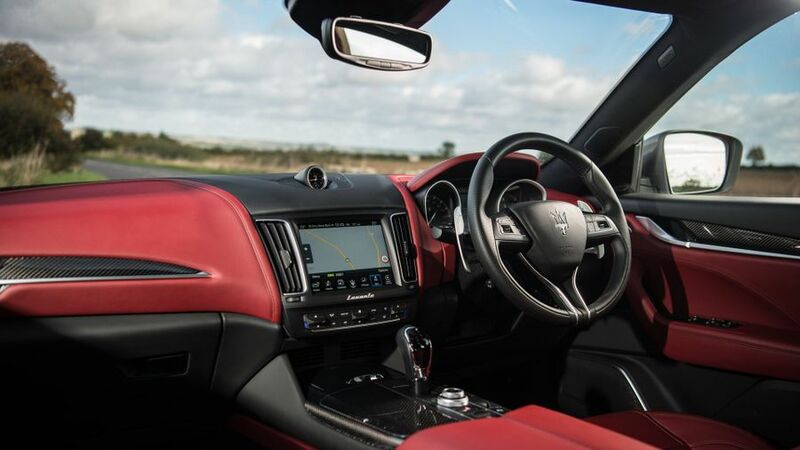 However, if you’re expecting your Maserati to deliver sports car-like performance, it comes up a little short, and that’s not helped by an automatic gearbox that’s a shade slow to respond unless you dial in the sportiest driving mode. The other choice, the Levante S with its 3.0-litre twin-turbocharged petrol V6, has a lot more sparkle, though. It delivers a whopping 430 horsepower, making it very quick indeed regardless of whether you’re picking up speed on the move or blasting away from the line (0-62mph takes just 5.2 seconds). It makes a really good noise, too, and it all feels a lot more, well, Maserati.  In its basic forms, the Levante costs a similar amount to rivals like the Porsche Cayenne. However, if you add the GranLusso or GranSport option packs on top (which you probably will), then the purchase prices climb quite steeply, although the same is true if you start adding a few optional extras to the Porsche. The Levante can’t quite match its like-for-like rivals on fuel consumption or CO2 emissions, either, but if you’re wealthy enough to be considering one of these cars in the first place, the deficit is unlikely to be a deal-breaker for you. Where the Levante does impress, though, is on residual values. The data we’ve seen suggests that it’ll hold its value better than most rivals, which helps cut your whole-life costs considerably. All in all, it shouldn’t cost you any more to own long term than its rivals. If you have your heart set on buying a Maserati, it’s best to ignore the Warranty Direct Reliability Index, because the brand sits rock-bottom of the study’s manufacturer standings. That might be a little misleading, though, as that score seems to be based entirely on the performance of one model – the Granturismo coupe – which happens to be one of the worst performing models in the entire study and bears no relation to the mechanics used in the Levante. 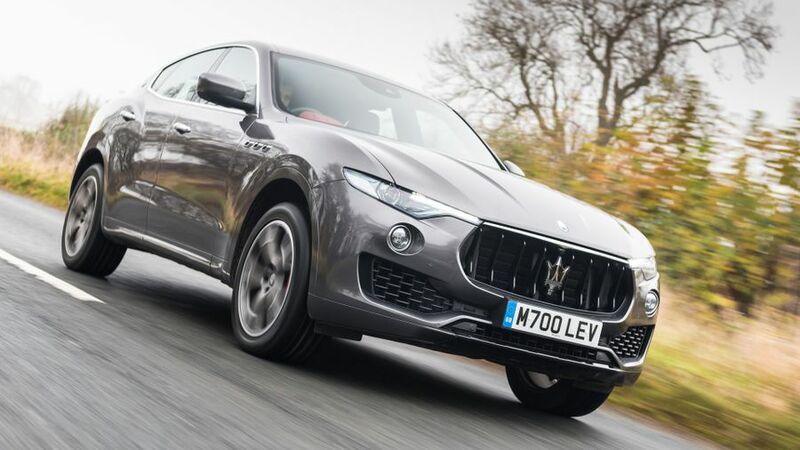 The Levante is more closely related to the Ghibli saloon, upon which Warranty Direct carries no data, but our owner reviews on that car don’t report any horror stories. The Levante’s performance here is a little disappointing. While it comes with a respectable six airbags and a few electronic driver aids, many of the cleverer safety features are confined to the options list meaning you’ll have to pay extra. To get your Levante fitted with adaptive cruise control, lane departure warning, blind spot alert and automatic emergency braking - you’ll need to specify one of the optional Driver Assistance Packs. These days, automatic braking is standard in many hatchbacks costing a fraction of the Levante’s price. The car hasn’t been crash tested by Euro NCAP. 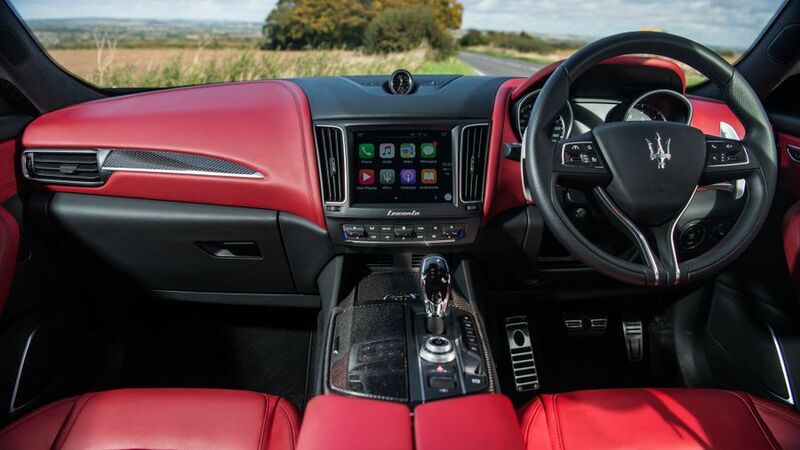 You get plenty of standard equipment in your Levante, including air suspension, dual-zone climate control and a touch-screen-controlled infotainment system. The front seats are electrically adjustable, as are all four side windows and the tailgate. On top of the aesthetic upgrades mentioned earlier, the GranLusso version adds 12-way powered seats, a Harman Kardon sound system, parking sensors, sat-nav and soft-close doors. You get similar stuff on the GranSport, but obviously with a different aesthetic treatment. If you play to its strengths, the Levante will delight you with its ability to cover long distances in comfort, while its running costs are competitive with its rivals’. For all that, though, perhaps the biggest reason buyers will head into a Maserati showroom, rather than a BMW or Porsche one, is the car’s guarantee of exclusivity, courtesy of its anticipated low sales. And, in a world that’s awash with SUVs – even at this price – that’s a very attractive commodity.